I seriously think that if there are any buyers out there who are on the fence about whether or not to buy a house, now is the time. Interest rates have sunk to new lows and are currently under 4.5%, which is just amazing! In some cases with great credit etc you can get a rate of 4.25% for 30 years! In addition to that, house prices are also low and there is good inventory out there and some really nice homes for rock bottom prices. The majority of homes on the market are NORMAL sales. Even though the San Diego market has stabilized a bit, there are still great prices. Pending sales are up for the last 2 months which means that people have started to buy and they are under contract, so we should see the sold numbers improve in the next couple of months. 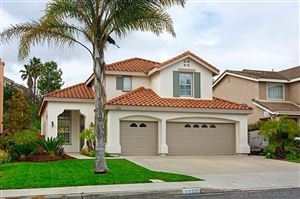 This morning I showed a buyer approximately 10 homes in the Rancho Bernardo and Rancho Penasquitos suburbs and we saw some nice homes for good prices in these 2 stellar neighborhoods! We also saw a few which were over priced and certainly not in good shape. It astounds me as a Realtor, how some sellers can have their house for sale, but they do not clean it, do not stage it in any way and quite frankly leave them in a mess. It certainly turned off my buyer. Such a shame! If you or someone you know is looking or thinking of buying a home, even for investment purposes, please call or email me or pass on my info. I am here to help and in addition to that I am always available if you need any info about your own home and what the current prices are in your neighborhood.